Are You Prepared for B-School Admissions? 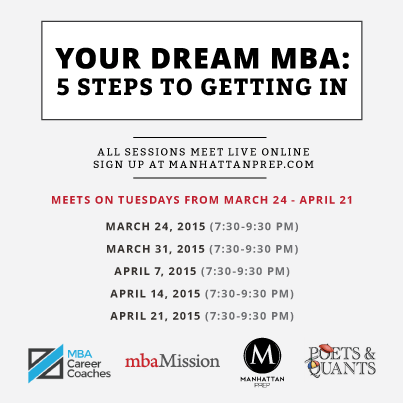 —for an invaluable series of free workshops to help you put together a successful MBA application, from your GMAT score to application essays to admissions interviews to post-acceptance internships. We hope you will join us for as many events in this series as you can. Please sign up for each sessions separately via the links below—space is limited.